Why does ExxonMobil need Russia’s Arctic region? The U.S. Treasury Department had already allowed ExxonMobil "limited administrative actions" within the framework of its Rosneft partnership. Even though the price of extracting oil in the Arctic is very expensive, ExxonMobil still wants to strengthen its position in the Russian market. The U.S. Government will not give the green light to oil major ExxonMobil Corporation and other American companies that seek to drill in areas covered by U.S. sanctions against Russia, Treasury Secretary Steven Mnuchin said on April 21. In mid April, ExxonMobil, the largest American oil and gas company, filed a request with the U.S. Treasury Department for an exemption to sanctions. The oil giant wanted to restart drilling in Russia’s Arctic region in cooperation with state-owned Rosneft, reported The Wall Street Journal. The U.S. Treasury Department had already allowed ExxonMobil "limited administrative actions" within the framework of its Rosneft partnership. The American company hoped to secure conditions similar to competitors, such as Norway's Statoil and Italy's Eni, for joint drilling with Rosneft in the Barents and Black seas. The benefits for ExxonMobil with its Arctic project are not clear because oil prices are low. Ariel Cohen, an expert at the Atlantic Council, and director of the Center for Energy, Natural Resources and Geopolitics at the Institute of Global Security Analysis, remarked that Iraq, Iran and Saudi Arabia have many fields from which it's inexpensive to extract oil. "The cost of [Arctic] oil production is huge - 100-150 dollars per barrel. Who needs such expensive offshore Arctic oil today?" said Cohen. "Today in America they're actively drilling shale oil at 30 dollars per barrel." Are Russia’s oil wells truly in danger of drying up? ExxonMobil has always made clear its plans to revive cooperation with Russia as soon as sanctions might be lifted. Glenn Waller, head of ExxonMobil's operations in Russia, talked about it on many occasions, and former ExxonMobil CEO, and current U.S. Secretary of State, Rex Tillerson, said Exxon is waiting for the opportunity to resume operations in Russia. In current conditions it's impossible to make predictions about cooperation between the American and Russian companies, said Mikhail Grigoriev, a leading Russian expert on the Arctic, and director of the company, Gekon. "There are too many things happening behind closed doors, and it's an absolutely unpredictable and opaque situation." At the end of March, during the Arctic Forum in the city of Arkhangelsk, Russian President Vladimir Putin spoke about restarting joint projects with the U.S. 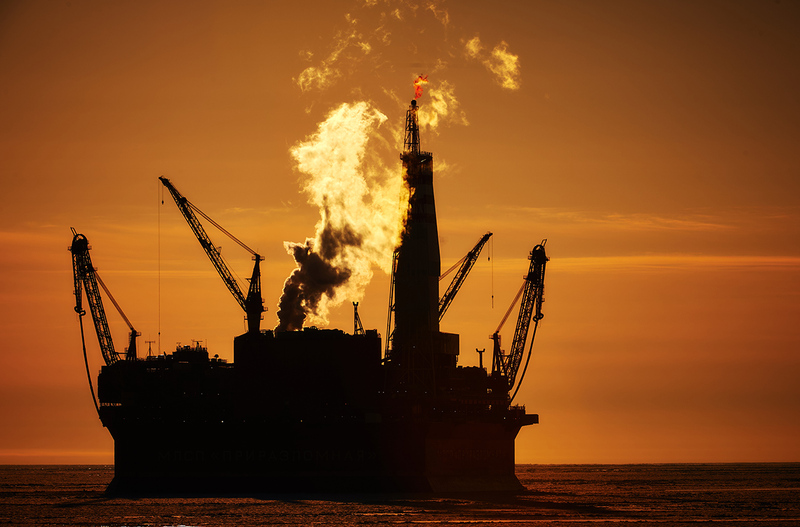 In early April, during a telebridge with the Russian president, Rosneft CEO Igor Sechin announced plans to renew drilling with ExxonMobil in the Kara Sea shelf in 2019. Rosneft said it has already invested 100 billion rubles in the Arctic, and in 2017-2021 it plans to invest 250 billion rubles in exploration on the Arctic shelf, drilling four exploratory wells in the shelf of the Laptev Sea, and eight in the Kara and Barents seas. Sechin later clarified that when he spoke of the projects in the Kara Sea as part of the partnership with ExxonMobil he was implying it'd be a joint enterprise with the American company. According to sources, the Arctic Center created by Rosneft and ExxonMobil in 2013 continues to provide a wide range of scientific research and engineering services for projects in the Russian Arctic. It was assumed that the American company would provide about $200 million to finance the initial stage of the Arctic Center, and the following $250 million for joint research would equally be provided by Rosneft and ExxonMobil. Who else is exploring the Russian Arctic? ExxonMobil is not the only U.S. company developing operations on the Russian shelf during this time of sanctions. In 2015, General Electric and Rosneft established Sapfir, an applied engineering and learning center. GE's advanced technologies will be used in shelf projects, in particular, for the creation of the Zvezda Far East shipbuilding complex. The companies also created a joint enterprise for the production of wellheads, which will help create equipment for exploring the Arctic.